D.1-3) Study the following information carefully and answer the following questions. 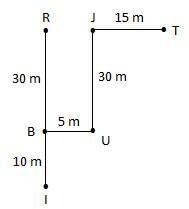 Two persons A and B are facing each other and the distance between A and B is 10 meter. Person A is facing either North or East. 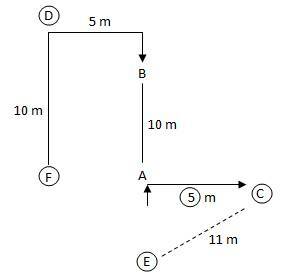 A and B are turned right and then walked 5 meters to reach Point C and Point D respectively. From Point C he turned 135 degree clockwise and walked 11 meters to reach point E. From Point D he turned left and walked 10 meters to reach Point F. Point F is west of starting point of A.
Q.1) If Point G is 5 meter east of Point F then Point G is in which direction with respect to Point D? 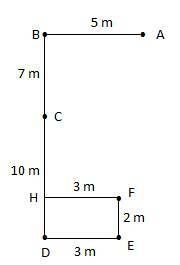 Q.2) If Point H is 8 meter south of B’s starting point then Point H is in which direction with respect Point F? Q.3) Point F is in which direction with respect to starting point of B? D.4-5) Study the following information carefully and answer the given questions. P, Q, R, T and U are five friends standing in a football playground. P is in the middle of the ground and faces north. P kicks the ball in north east direction and R is the only person to receive the ball. Q is west of R and Q, P are form a straight line. R is related to P in the same way P is related to T who faces north. 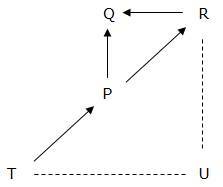 U is east of T but not in the line of Q and P.
Q.4) If the distance between Q and R is four meter and the distance between Q and P is two times of Q and R then what is the shortest distance between P and R (approximately)? Q.5) If U is south of R then Q is in which direction with respect U? Q.6) A man walks 5m towards north and then turn to his left and walks 10m.Then he turn to his right and walks 4m.In which direction is the man now from the starting point? Q.7) Manoj walks 10m towards east and he turn to his right and walks 4m.Then he turn to his left and walks 5m. Finally he turn to his left and walks 4m.How far and in which direction is he from the starting point? Q.8) Mohan starts from his house and walks 3m towards North-East and then turn to his left and walks 5m.Now, How far and in which direction is he from the starting point? 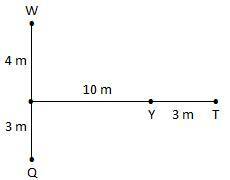 Q.9) Point A is 5m to the south of Point B. Point C is 3m to the east of Point B. Point F is 2m to the south of Point C. Point D is 5m to the west of Point F. Point E is 3m to the south of Point D. Point E is in which direction with respect to Point B? Q.10) A man walks 5m towards south and turn to his right and walks 4m.Then he turns 900 in anti clockwise direction and walks 5m.How far and in which direction is he from the starting point, if he turns 900 clockwise direction instead of taking 900 anti clockwise direction? Q.11) If Q@W&R^T$Y, then in which direction is Point Q with respect to Point Y? Q.12) If H$J@K$L^G, then how far and in which direction is Point K with respect to Point G? 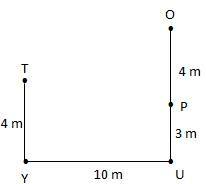 Q.13) If T&Y^U@O&P, then which of the following points lies in a straight line? Point A is 5m to the east of Point B. Point C is 10m to the North of Point D. Point D is 3m to the west of Point E. Point E is 2m to the South of Point F. Point B is 7m to the North of Point C.
Q.14) If Point F is 3m to the east of Point H, then what is the distance between Point H and B? 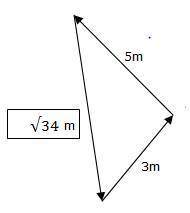 Q.15) In which direction is Point A with respect to Point D? Point I is to the south west of Point U, which is to the south of Point J. Point R, B and I lies in a straight line. Point U is 5m to the east of Point B. The distance between Point B and Point I is one-third of the distance between Point B and Point R. The distance between Point J and Point U is same as the distance between Point B and point R. The distance between Point J and Point U is twice the distance between Point J and Point T. The distance between Point B and Point I is twice the distance between Point B and Point U. Point R is to the north of Point B. Point J is to the west of Point T.
Q.16) How far and in which direction is Point R with respect to Point I? Q.17) Which of the following points lies in a straight line? Q.18) If the distance between Point J and Point U is six times the distance between Point Q and Point U. Point U is to the west of Point Q, then how far and in which direction is Point I with respect to Point Q? Two persons Kavitha and Radha start walking from the same point. 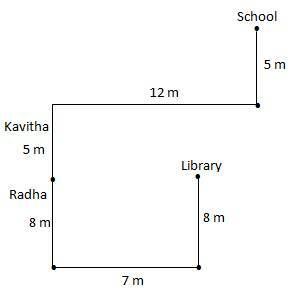 Kavitha walks 5m towards north and turn to his right and walks 12m, then she turn to his left and walk 5m and reach the school. Radha walks 8m towards south and turn to his left and walks 7m, then again she turn to his left and walks 8m to reach the library. Q.19) How far and in which direction is Kavitha from the starting point with respect to library? Q.20) In which direction is School with respect to library?